SUNDERLAND has unveiled a four-day festival line up of theatre, circus, music and dance, as the city prepares to host the international Tall Ships Races 2018. As start host port for the event, the city will welcome 55 sailing vessels and their crews along with an estimated 1.5m visitors from 11 to 14 July. For four full days, they can enjoy everything from fairgrounds and markets to live music, art workshops, exhibitions and displays – along with the chance to explore the real stars of the show; the ships themselves. And performers from around the globe will join homegrown talent for a series of spectacular shows at event zones around the city, dubbed the entertainment capital of the North East. The festival will kick-off on Wednesday 11 July when all ships taking part in the races will be lined up in the River Wear, with crews including young people from Sunderland and around the world. Then Extraordinary Bodies – a circus troupe of disabled and able-bodied people will defy gravity by spinning high above the crowd on an aerial rig, while Finnish all female circus act Sisus Sirkus will show off their trapeze and circus skills on a 9m high aerial wire. 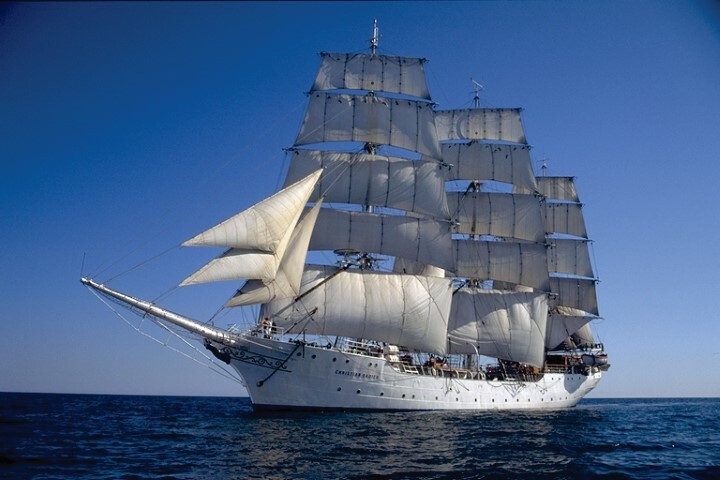 In the evening the city will turn out in force to welcome the Tall Ships to their home town with a Welcome Parade that will traverse the Port and Town Moor – through the streets of what was once the largest shipbuilding town in the world. The following day – 12 July – entertainment will include performances by Southpaw Dance on a real fairground carousel and a carnival-style crew parade, which will travel from the Civic Centre, through the city, to the riverside. Stilt dancers and electro drummers will accompany the parade which will end with a prize giving ceremony and firework display at the port. On Friday 13 July Citrus Arts will perform dance and aerial acrobatics on an upturned ship’s hull and world famous Danish clown Paulo Nani will entertain visitors of all ages. And, as the sun sets over the River Wear, three of the world’s most highly skilled wire walkers will attempt a unique feat of daring and possibly set a world record – by crossing the River Wear. Thousands of spectators are expected to watch as British husband and wife team Chris and Phoebe Bullzini and Belgium’s Johanne Humblet, of Circus Bijou, will ascend a 30m high, 220m long, inclined high wire without a safety net. For the final day of the festival, the spotlight will shine brightly on North East talent with music and dance from Sophie Lisa Beresford and aerial acrobatics from Emma Bloomfield along with a community-based Summer Streets festival at nearby Seaburn. During the afternoon, the ships will begin to leave their berths and the four-day festival will draw to a dramatic close with a magnificent Parade of Sail, when they travel up the coast before leaving the harbour and heading out to the North Sea and the first leg of the Races, to Esbjerg, Denmark. Unveiling the programme, Cllr John Kelly, Portfolio Holder for Public Health, Wellness and Culture, said: “The Tall Ships Races Sunderland will be the biggest, most ambitious festival the city has ever hosted. “And the whole city has been involved, from the 240 volunteers who will be on hand to help visitors, to the dozens of schools and community groups which have created events, performances and shows to entertain visitors. The cultural programme has been produced by Sunderland Culture and its head of performance, Helen Green, said: “Sunderland Culture is delighted to have been commissioned to produce a programme of events for The Tall Ships Races Sunderland 2018 on behalf of the council. For more information about The Tall Ships Races Sunderland 2018, visit www.tallshipssunderland.com follow on Twitter @TallShipsSund or Facebook at: Tall Ships Races Sunderland.